The Government Higher Primary School (GHPS) in Nachanahalli Palya is situated in the slums of Mysuru, Karnataka, where most students come from disadvantaged backgrounds. However, that doesn’t deter them from dreaming big. And, the flame to do well in life and achieve their goals burns brightly in them. 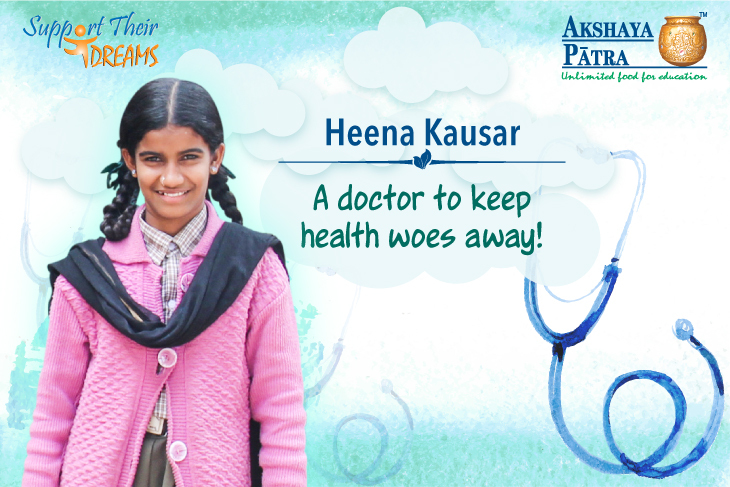 Heena Kausar, a lovely young lady, is one such beneficiary studying in Std. V, who wants to be a doctor and alleviate the suffering of others. We wish Heena the very best and hope she brings healing and care to those suffering from illnesses.